The school Academic Coordinator , Mr. Vipin Arora ,Senior teachers Mr. Randhir Singh, Mr. Kunal Pal, Mr. Pushkar Singh & Mr. Sauvik Basu were present along with librarian Mr. Pankaj Nirala & Admission Coordinator Mr. Sumit Phutela. 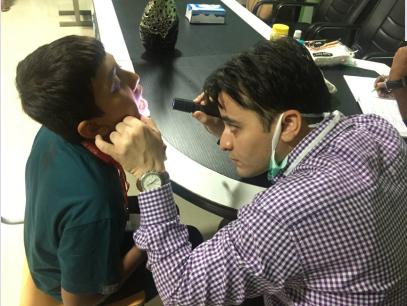 Thereafter, students’ teeth were through a thorough teeth examination by the team of doctors & necessary medication was advised. At last, the school administration greeted the doctors with round of applause for their noble endeavor. 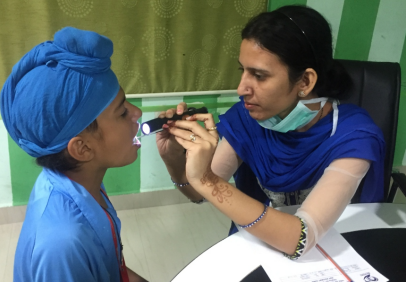 Sumit Phutela | Saint MSG Glorious International School Organised a Dental Camp under the supervision of School Administration in the campus of the Boys wing. 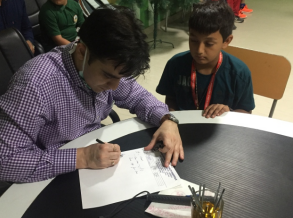 The camp was attended by the experienced doctors of Shah Satnam Ji Specialty Hospital. The team of the doctors was greeted by the school administrator, Dr. Dilawar Insan with a bouquet. 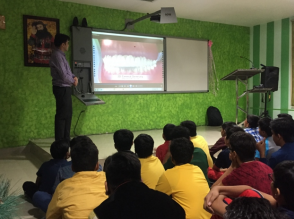 Later in, Dr. Bhupendra & his team shared detailed information about the dental disease & their prevention through Presentation. He apprised students about modern treatments. In addition to this, students questioned the team about various health related issues. The doctors responded to the queries with ease.